The Wonders of Blogging and Social Media! I’ve been writing stories since the age of eight. I was in the second grade and learning about the American Indians. I thought it must have been cool to be an Indian. And so I became one in my first story. I was “Moonchild” and I lived grand adventures in the great outdoors. That story opened the floodgates to my imagination. The stories would not stop. I couldn’t keep up with all the ideas roaming through my head. Before I could finish a story, another would pop in and take control. So it went. When I was about 16, I finally finished a complete novel. It was titled “Promise Me” and was a romance (which was pretty much all I was reading by this time … unless it was a non-fiction book on occult topics which also interested me). I was so SURE of my life path … I was going to be a published author someday. It’s all I wanted to do other than travel. Well that lust for travel led to me joining the Air Force. Then I got married and had a baby, got divorced, remarried, two more kids … life took precedence over my writing goal. Now I’m retired from the military. My kids are grown up and have children of their own. Thankfully, they don’t take up ALL my time. I am once again focused on my writing dreams. 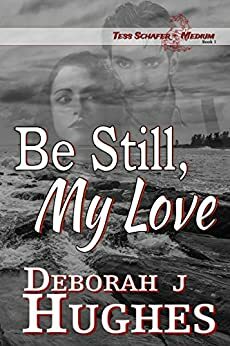 Now that I’m getting down to the business of writing, I decided to try and publish “Be Still, My Love”, a modern day Gothic about a grieving medium who takes refuge at a haunted resort on the coast of Maine. I sent queries and received a fair share of rejections. Some of them had nice comments, though, to ease the pain. I took those compliments as encouragement despite the rejections. It’s quite a process to find an agent to query, send out the query and WAIT for a reply. Months go by. I’m not getting any younger. I’ve already wasted years of my life (as far as my writing goes). I thought about self-publishing but it’s expensive. Then the Kindle came out (and all the other readers Nook, iPad, etc). Suddenly self-publishing has a whole new playing field! And most importantly, an AFFORDABLE one. So I began to research what to do to get published on a Kindle. Words like blogging, brand, social media and etc. started coming at me. What is a girl like me, who knows very little about any of those things supposed to do? Get educated of course. So I started surfing the internet and connecting with those in the know. I heard of Twitter but thought it a silly waste of time. I thought tweeting was all about “I’m eating chocolate cake right now and it is soooo good!”. Interesting stuff to the tweeter but do I really care? Unless I’m sharing that chocolate cake, NO! But the experts insist that new wannabe authors MUST have a Twitter account. So I got one. But I had no clue what to do with it. Then I discovered something pretty neat…the tweeters I began to follow tweeted useful information. I now spend more time on Twitter than any other social media outlet! Go figure. I was already addicted to Facebook so no problems there. But then I was told that authors need to Blog! What was I supposed to blog about? Build your BRAND, they said. What’s my brand? Okay, I think I’m getting that now. 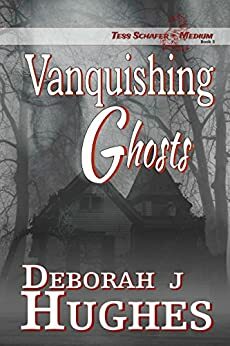 My books usually involve ghosts. 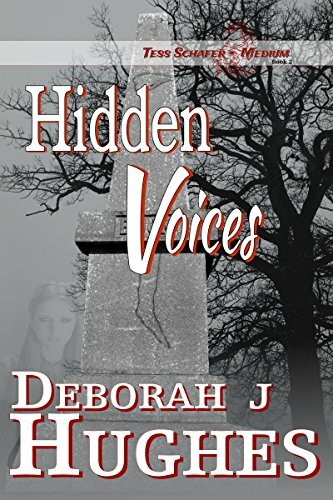 I write about the paranormal. I guess that’s a big part of my brand. So, I started blogging about WHY I am interested in the paranormal. I lived in a haunted house for seven years and I’ve been studying all things paranormal since the age of ten or so. So, I now had a Twitter account and a blog but how to get people to know I exist? The advice on this was pretty consistent: find other blogs, comment on them and hope someone finds my comments interesting enough to check me out. So, I started looking for blogs that interested me. And guess what? I’m finding new friends, learning new things, and I’m expanding my social media base. What’s best about this is that I’m expanding that base with people I like and WANT to interact with. The world is full of interesting people and the internet makes it possible to friend them! How cool is that? Blogging adds a lot of pressure to a life already full of time-consuming things, but I push forward because I believe it’s an important part of a writer’s life. It also makes me face my fears. Blogging, after all, is like public speaking but without facing the audience. The same insecurities are there, will they like what I say? Will they hate it? How will my blogs be judged? These things scared me but I decided to JUST DO IT. I’ve still a lot to learn but at least I’m actively working on it and I am learning as I go. For this I must give thanks to all the great people out in the world who are so generous with their time to share their knowledge and offer advice! I discovered Kristen Lamb, checked out her blog, read her informative posts and bought her books. I am now taking her class on blogging. Using her advice, I’m making connections and getting myself out there into the world. Most importantly, I’m bringing the world to me. As mentioned, I’ve found some great people while searching for blogs that interest me. Somewhere along the way, I found a fellow writer interested in the paranormal, Serena Dracis. She’s led a pretty interesting life, and I was immediately attracted to her blog. Recently Serena listed me as a winner of her “Versatile Bloggers” award. I’m so honored! This is what making connections is all about. Serena was listed as a winner from another blogger and she happily passed on the honors. Now it’s my turn, for I get the honor of doing the very same thing! How cool is that? The joys of social media and making friends. I love it. 1. I love to travel. Even if it’s just a day’s trip out riding around, I want to go see stuff! 2. I love to take pictures. My family factors pretty heavily as photo subjects but I do so love to take pictures of nature as well. 3. I read palms. I’ve been a palm reader since the age of 16. The more hands I read, the more I am convinced there’s real truth to the whole Palmistry thing! 4. I love to Karaoke! Not just me but most of my family: my husband, my daughters, my 2 year old grandson. We love to sing! 5. I love to bake! All the holidays are celebrated and every one of them consist of lots of baking. Thanksgiving and Christmas really bring out the baker in me!! 6. I love gardening even though I’m not very good at it. My vegetable garden has yet to yield a decent crop. My flower gardens get out of hand. Doesn’t matter. I love it anyway. 7. I have a fascination with rocks. They are just so darned interesting. Rocks, gems, minerals … I love them all. And lastly, I must “pass on the torch” as Serena states it, and list bloggers I’ve discovered and would like to share with you. We are supposed to list 15 but I’m still in the early stages of this blogging thing and so I am still building my repertoire of blogs, but I do have a few right now that I’d love to share. I enjoy all of these blogs and look forward to future posts from them. I hope you enjoy them too! 2. Amy Schmittauer Her blog is all about social media. 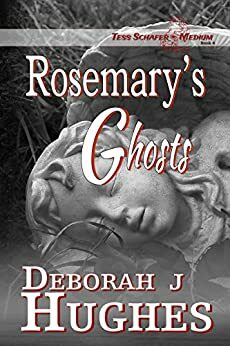 She’s a fun read and has interesting content, especially for writers. 3. My Secret Psychic Life is about a wife/mother/business owner who explores her psychic abilities. As I am interested in this area, I enjoy this blog. 4. The Writer’s Guide to E-publishing this blog hosts lots of writers giving great advice on publishing. I’ve found their articles very helpful. 5. SupernaturalUFO this site has a little bit of everything in the paranormal genre. I’m always curious about anything strange and mysterious. 6. Leslie Bisme posts photos which are quite lovely and interesting. I love it when she shares a new post. 7. Wilson Wyatt Jr. is a photographer/writer. His pictures of nature are absolutely breathtaking. Well, there you have it, my story and the introduction to a few great people! Happy reading, everyone!! And if you know a great blog you’d like to share with me…PLEASE do so!!! Thanks. You are eating chocolate cake? HaHa – you are also my award winner! Determining how many children someone is going to have is tough to do in the palm. I’m terrible at it and tell everyone that up front. With the family unit being so diversified with foster kids, step kids, half sibs and whatnot, it’s tough to call it. Most of the other stuff is pretty accurate though. The first thing I do when I meet people is check out their hands (no I don’t ask to read their palms, I just glance at their hands…thumbs alone can tell you so, so much about a person! The length of their fingers, how they hold their fingers …closed, open, are the hands soft, stiff, tough, supple…it all means something!!). So, I can get a pretty good idea about people just by glancing at their hands!! 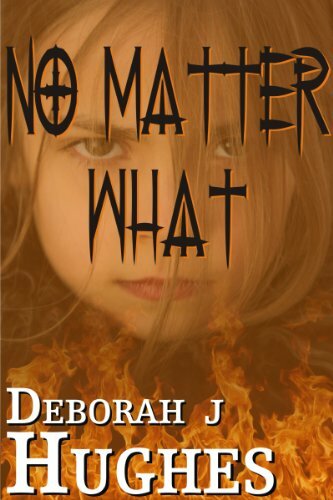 Kudos, Deborah! How cool that you read palms! Great assortment of award winners too. Thanks for the link love, Deborah! So glad to have you as a part of my community!